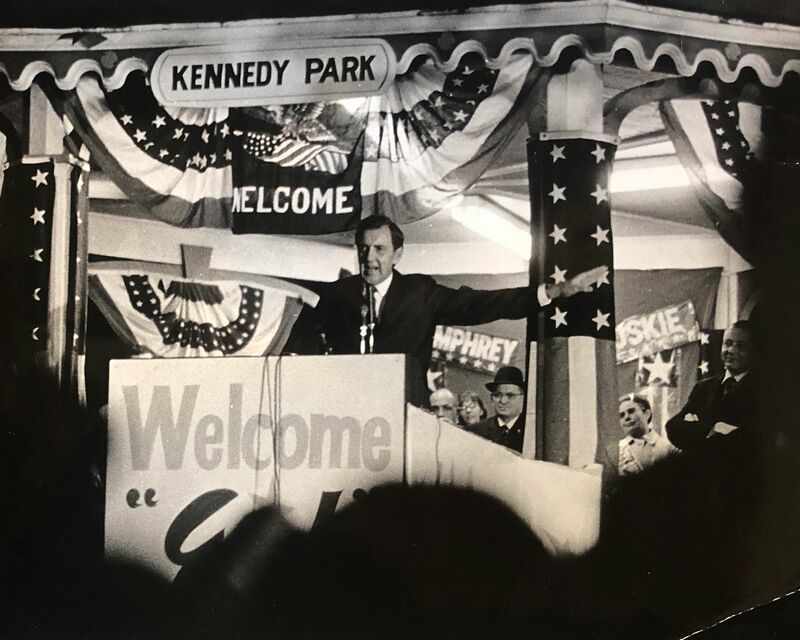 As the Democratic National Convention ended on Aug. 29, 1968, and the presidential campaign kicked off, many believed that the Democratic ticket — Hubert Humphrey running for president and U.S. Sen. Edmund Muskie ’36 of Maine for vice president — was dead on arrival. “We were supposed to lose,” says Don Nicoll, Muskie’s campaign manager. But no one figured on Muskie. 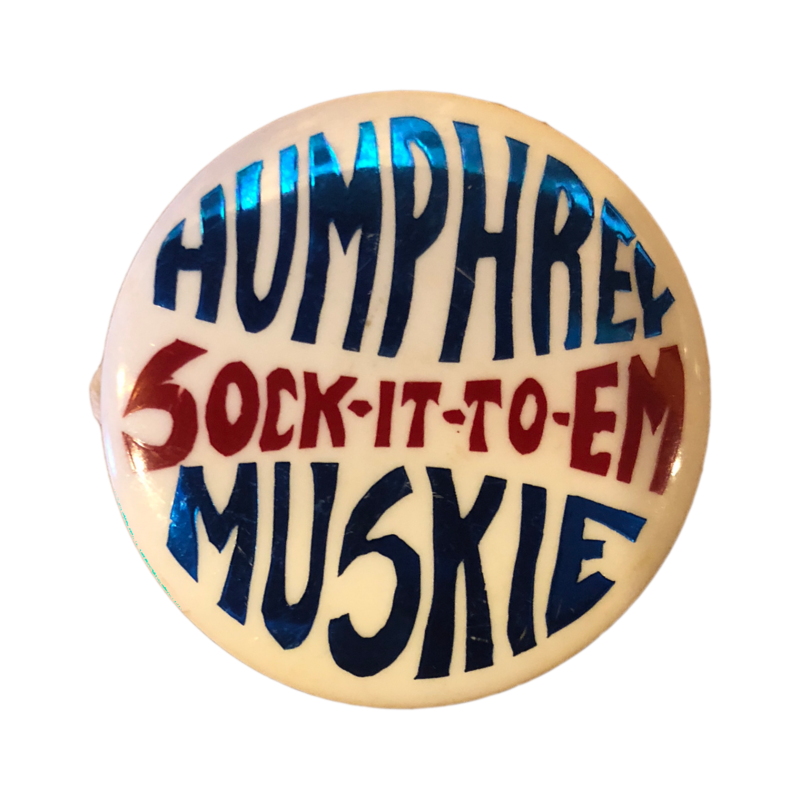 Through the late summer and early fall of 1968, a span of just a few weeks, Muskie delivered a dazzling performance that nearly turned the tables on presidential frontrunner Richard Nixon, who would win the election by less than 1 percent of the popular vote. That was the conclusion of a Nov. 29 panel discussion at Bates celebrating the 50th anniversary of Muskie’s vice presidential campaign. In early September 1968, the Democrats were in dire straits. The first polls had Republicans Nixon and running mate Spiro Agnew leading the Democrats, 43 percent to 28 percent. 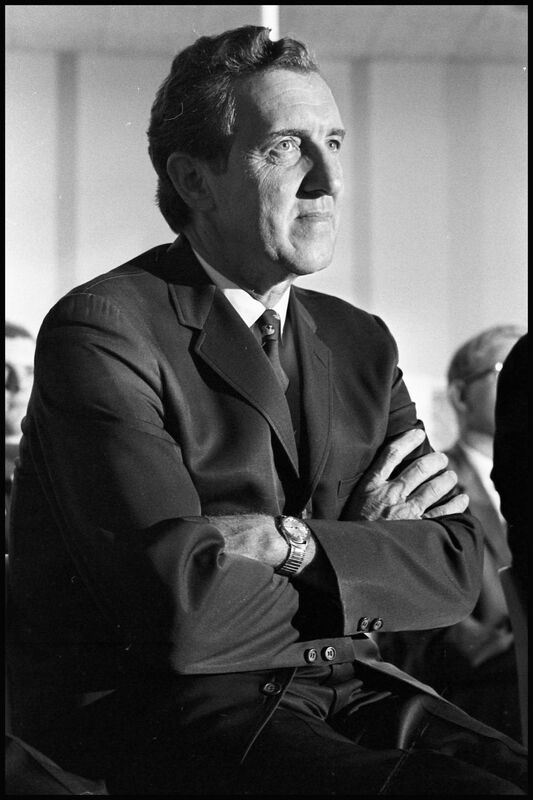 As President Lyndon Johnson’s vice president, Humphrey had inherited some of his polling problems: Johnson was so unpopular due to the Vietnam War that he’d declined to run for a second term. The Democrats also were fighting a rearguard action against independent George Wallace of Alabama. Polling at 18 percent, Wallace was courting blue-collar voters with his populist and racist rhetoric. The Democratic ticket looked doomed. But the Democrats closed the gap, with Muskie running one of the “exemplary national campaigns of modern times,” said Muskie scholar Joel Goldstein during the discussion at the Muskie Archives and Special Collections Library. Jane Fenderson Cabot was a campaign intern in 1968 and later a Muskie Senate staffer and assistant to Roslyn Carter. Eliot Cutler was Muskie’s assistant press secretary during the campaign before embarking on a law career. He ran for Maine governor in 2010 and 2014. Joel Goldstein is a scholar of the U.S. vice presidency and the Vincent C. Immel Professor of Law at Saint Louis University School of Law. John Martin was comptroller for the Muskie campaign and is a longtime member of the Maine Legislature. Charles Micoleau was a policy and campaign director for the Democratic State Committee in 1968 and is now a Maine lawyer whose practice focuses on the public sector. Don Nicoll managed Muskie’s 1968 campaign and had a long career as a program and policy planner. Here are eight takeaways from the panel, which featured former Muskie staffers and confidants as well as Goldstein. 1. 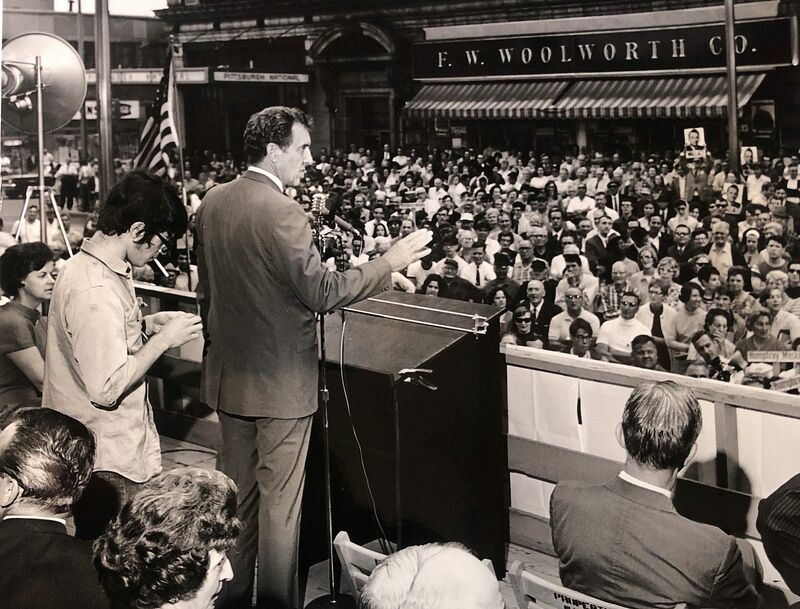 On the campaign trail, Muskie was more a preacher, less a debater. Muskie is often framed as a fierce rhetorical combatant. And why not: He was a great debater at Bates and a legend in the U.S. Senate. 2. He would not dog-whistle or play to fear. In a series of events in early October, Muskie spoke to blue-collar Democrats in Chicago, Camden, N.J., Philadelphia, and Yonkers who were slipping away from the party. 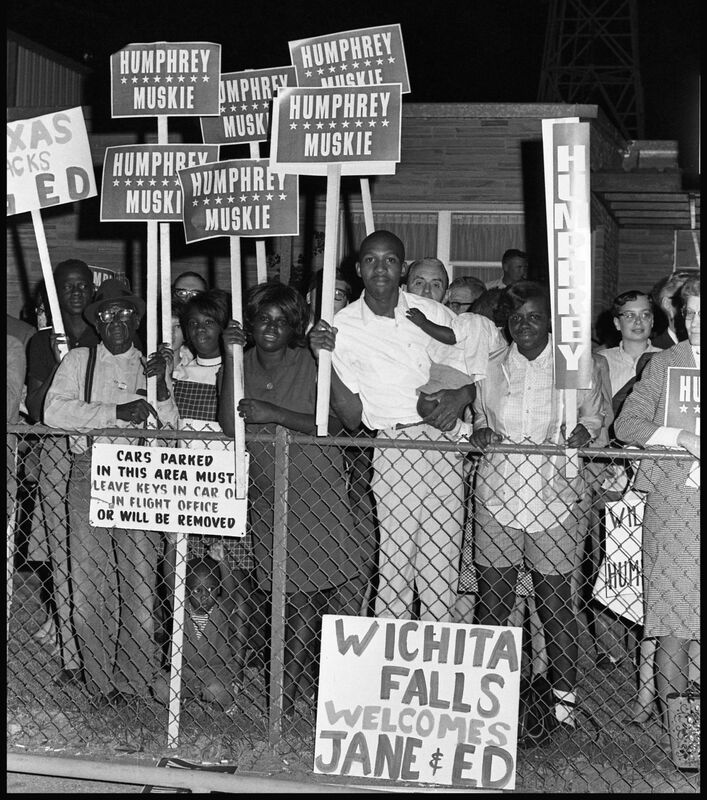 Once part of the Roosevelt’s New Deal coalition, these older voters were now “tempted by the Wallace candidacy,” said Goldstein, which was “fanning resentment about racial policies” of the Johnson administration and the decisions of the Supreme Court under Earl Warren. Speaking to these voters, Muskie talked about his father, Stephen Marciszewski, a Polish immigrant who became a tailor in Rumford in the early 1900s. “My father did not come here looking for fear,” Muskie would say. “He came here to escape fear and to find freedom. He did not come here looking for hatred. He came here to escape it and to find freedom. 3. He looked and sounded the part. “I see a lot of young people here today. All you know about Ed Muskie is what you’ve read in books,” said Harold Pachios, who supervised advance operations for the Muskie campaign in 1968. “You see him up there above the mantel,” pointing to Muskie’s portrait in the archives. This is an edited version of Muskie’s powerful speech accepting the vice presidential nomination at the Democratic National Convention on Aug. 28, 1968. 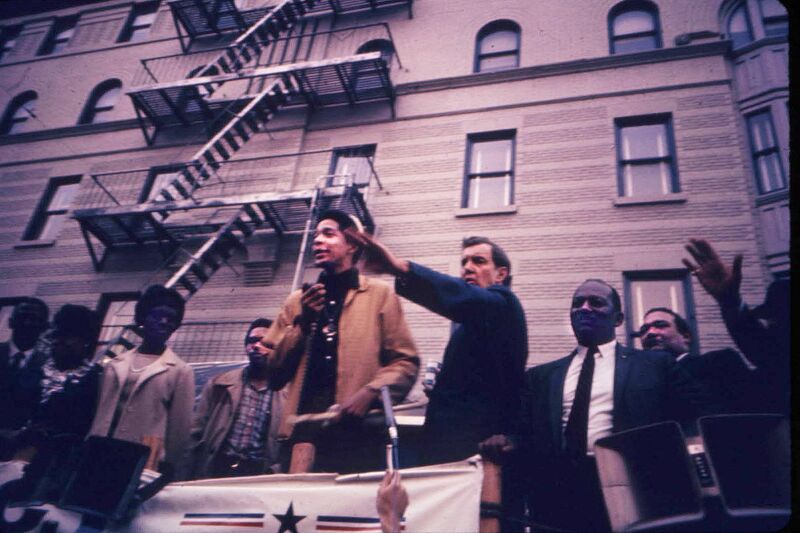 Indeed, Muskie’s acceptance speech at the 1968 Democratic National Convention was a tour de force. 4. He had something to say. Muskie “crept into the consciousness of the American electorate” in 1968, said Cutler. 5. He bridged the gap between dissent and disloyalty. The violence outside the Democratic National Convention in Chicago left some Americans bewildered and wary of the anti-war protests, said Goldstein. Nixon and Wallace pounced, telling Americans to equate protest with disloyalty. “America: love it or leave it,” was their refrain. Indeed, “many of the inequities are your fault and mine,” Muskie said, imploring his audiences to listen seriously to the critiques and to encourage meaningful participation by the young to improve America. He wasn’t letting the protesters off the hook, either. So when asked by college students if he supported the emergent idea of an all-volunteer Army in lieu of the draft (which Nixon was promising), Muskie didn’t pander. While a volunteer Army might satisfy the self-interests of privileged, mostly white college students, it wasn’t fair. Muskie supported a program of national service supported by a lottery to spread the obligation of service more equitably through society. 6. When Muskie did debate, he used his Bates education. Muskie learned to debate from Brooks Quimby, Class of 1918. 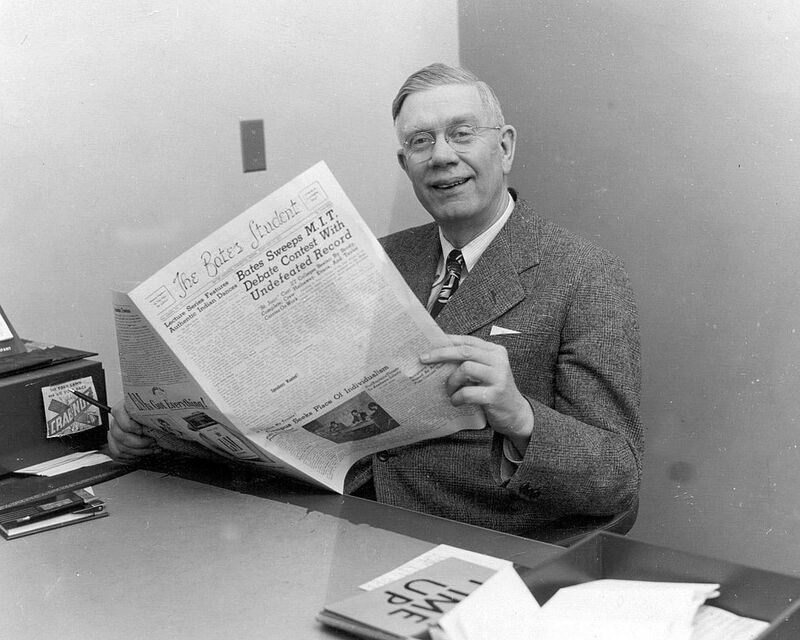 The namesake of the Quimby Debate Council, Quimby was a speech and rhetoric professor from 1927 to 1967. Quimby taught his debaters to persuade an audience, not to defeat an opponent. Persuasion means putting the audience first. Under Quimby, Bates took a “leading roll in the effort to…diminish the perception of intercollegiate debate where ‘winning is everything and the audience is nothing,’” wrote Robert Branham in Stanton’s Elm, a history of Bates debate. 7. He was willing and able to connect with anyone willing to listen. On Sept. 25, in Washington, Pa., Muskie famously invited a college-student heckler to join him on stage. Like other young Democrats, the hecklers that day were angry that the party — and its candidates — weren’t aggressively opposing the Vietnam War. As the hecklers taunted Muskie, the candidate asked them to give him a chance to tell his story. “You have a chance. We don’t,” one reportedly yelled. Muskie told the protesters to send one of their own to the stage to state his position. The ensuing discussion — with Muskie insisting that the otherwise partisan audience respect the student, Rick Brody — was reported nationally on television and in print. 8. Muskie was allowed to be — nay, demanded to be — Muskie. “He told listeners what he thought, not what they wanted to hear,” said Goldstein, the Vincent C. Immel Professor of Law at St. Louis University School of Law.